Its been a month or so since my last post…That either means I have been too lazy or I have too many things keeping me busy in life. Well thankfully, its been the latter case. The new bike is taking a lot of my time. Getting confident to drive in public + trying to reach a decent milestone (as far as distance covered goes) before handing over the bike for its 1st service has kept me on my toes all month ! Now that its done, I can come back to my usual routine…or new ones ! Oh..almost forgot ! What forced me back to write a hurried post? 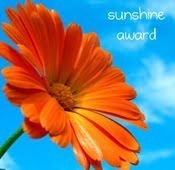 Well a fellow blogger has nominated me for 2 Blogging Awards – ‘The Sunshine Award’ & ‘The Inspirational Blogger Award’. Tradition dictates that I follow the protocols laid down to honour this kind gesture. Answer questions which give an insightful view of you (7 for the Sunshine award & 5 for the Inspiration blogger award) . 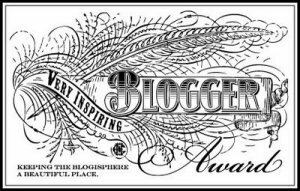 Pass on the award to other fabulous bloggers, link their blogs, and let them know you awarded them. I have been nominated by Ned from the blog – http://gigoid.me. Ned’s blog is 1 of the first few blogs I followed. Reading a single post from his blog makes you feel like you are reading many other blogs….he jumps from 1 topic to the other…definitely not my style…maybe thats why I follow his blog keenly ! I love reading stories of Good vs Evil…like mythological stories…love rooting for the underdog (the ‘good’ as usual). I love watching TV shows which belong to the genres of : humour, mystery. I have a great long term memory….I love remembering tiny things about the past …about my childhood etc…which is why I really fear Alzheimer’s disease. She shares my interest in books, Tv shows & movies…..even the ones I love dating back to the golden age of Hollywood ! Rohit….ha! Thanks, but I’m now in the midst of dealing with the 78 emails that came in after my ISP was down for about 16 hours….it could be days before I get caught up… but I do appreciate the re-nomination… I try to inspire…. something, anything… my only fear is to NOT cause someone to have some reaction, any at all…maybe that’s why I throw so much out there… increases the odds that something will stick…. 🙂 Take care, & welcome back to real-time…. Thanks for the nomination. I never been nominated in my entire life so this is such a cool experience hahaha! 🙂 I’m going to do a whole entry about this once I come back later. Thanks again this is such a sweet gesture!